Removing canopies so passengers could escape easily during an emergency, adding backup buoyancy so boats could stay afloat if flooded and requiring passengers to wear life jackets are recommendations made by the National Transportation Safety Board 20 years ago to tourist "duck" boats. The NTSB spelled out additional safety measures in an accident report when the duck boat Miss Majestic sank May 1, 1999, during a tour of Lake Hamilton near Hot Springs, Ark. The tragedy killed 13 of the 21 passengers on board, including three children. The report also said the crew did not require life jackets to be worn and did not demonstrate how to don one if needed. Also avoided was giving passengers instructions on what to do if the boat starts to sink. [post_ads]Reports about the NTSB findings have resurfaced since the sinking of the "Ride the Ducks" boat in Stone County, Mo., Thursday. The NTSB is investigating the incident, questioning everything from the weather to the life jacket situation to the actions of the crew. The boat, carrying 31 people, sank in Table Rock Lake near Branson, Mo., killing 17 passengers ages 1 to 76, including nine family members from a family of 11 on the boat. Tia Coleman, one of the two survivors of that family, spoke with news media from her hospital bed. Coleman, whose three children and husband all drowned, said the captain of the boat told them they would not need life jackets. "My husband would want me to say this -- he would want the world to know that on this boat we were on, the captain had told us 'don't worry about grabbing the life jackets -- you won't need them' so nobody grabbed them as we listened to the captain as he told us to stay seated," Coleman told Fox News. "However in doing that, when it was time to grab them, it was too late and I believe that a lot of people could have been spared." The NTSB recommends passengers not wear life jackets on boats with canopies because when the they sink, the life jackets prevent escape by floating people to the top of the canopy and trapping them underneath. 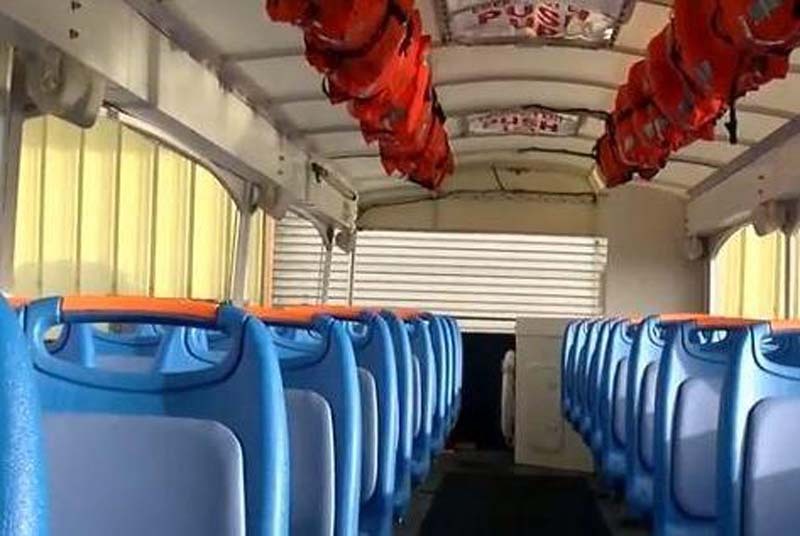 The Coast Guard requires life jackets on boats but for amphibious tour boats, which are part boat and part bus, recommendations are left up to the captain on whether to request passengers to wear the jackets.